Get Those Ballots in the Mail! 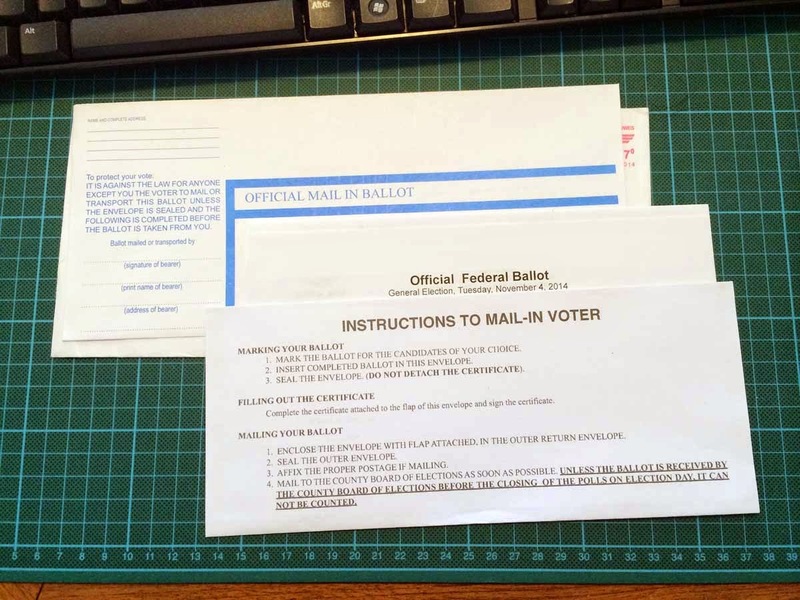 In our September Newsletter I wrote about receiving my absentee ballot. Well, as is just like me, my ballot is still sitting on my desk, unmarked, unsigned, and just 15 days before Election Day, it has not been mailed to the stateside elections office that will count my ballot. For most states, the deadline to receive an absentee ballot is end of day Election Day, this year that is Tuesday, November 4th. If you miss the deadline, your vote will not be counted. 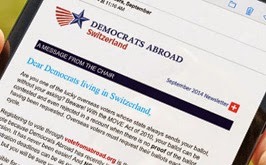 I am making this commitment to all the other Democrats in Switzerland: I will complete my ballot right after I post this blog entry, carefully following the instructions provided. Then Monday morning, October 20, before I do anything else (well, after coffee, but before I pick up my morning croissant), I will go to the Post Office and mail the ballot. Will you commit to vote too? Tell us, have you mailed your ballot already, or will you do so ASAP? I mailed my ballot about two weeks ago. Yes!